This estate is home to over 150 luxury houses and the spectacular Western Cape Hotel and Spa. I was fortunate enough to attend a conference at the hotel and sleep over in one of the luxury homes on the estate. 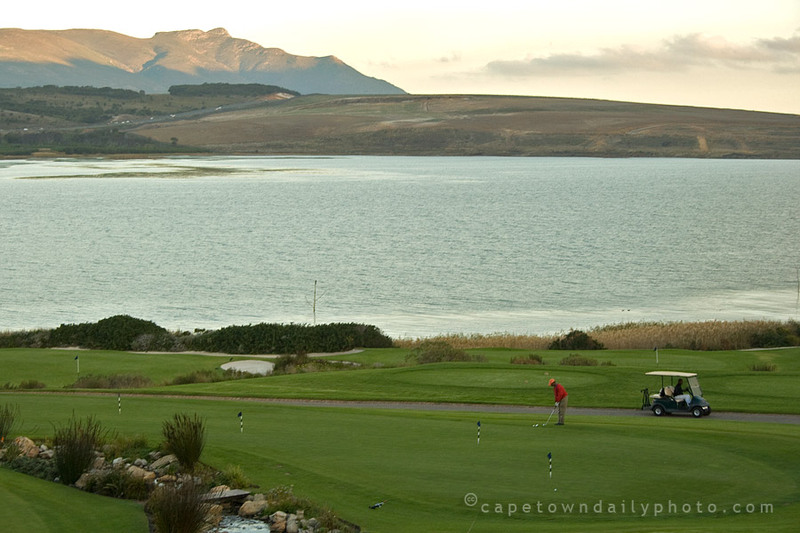 Although I don't play golf, it was clear that the pristine course and beautiful views were a compelling enough reason to drive an hour from Cape Town to the small coastal town of Kleinmond with the sole aim of beating a little white ball around a huge lawn. Being at a venue with spa facilities had me wondering what percentage of people who can afford it actually do visit spas for various treatments. It's a little expensive for us, so neither Kerry-Anne nor I have. I do think that we will have to cough up some time, pay the high premium and see what all the fuss is about. Posted in General on Friday, 6 June, 2008 by Paul.